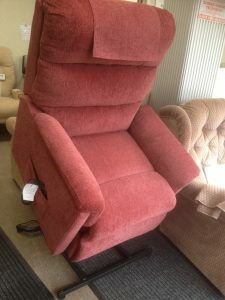 Lamborne riser recliner fully reclined. 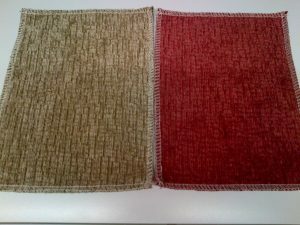 Lamborne riser recliner colour swatches. Lamborne riser recliner footrest raised. 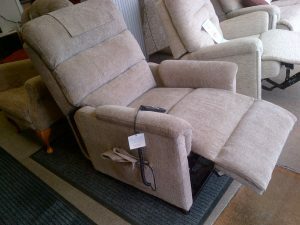 The Lamborne, an entry level riser recliner is available in Wine or Beige only and just one size. 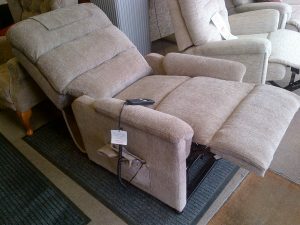 The Lambourne riser recliner comes complete with arm caps & a removable back cover. Ideal for users up to 15 stones / 95 kgs. and up to around 5’8″ / 173cm tall. 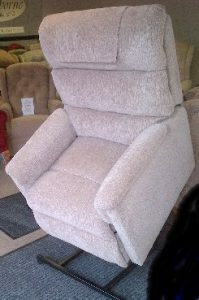 Very easy to use 2 button handset controls the lift & rise action, footrest raise & lower and the back recline action. This is not a wall huger action so you need to allow some clear space behind the chair for the recline action. In stock now for immediate delivery. £869 ex. VAT.